It’s time to clip back our rampant germander hedges again so that the road bike, which is in almost constant use, can get down the garden path. This is a carefully timed operation because it is such a bee magnet and I want to wait until there are oodles of other feeding stations for them in the garden before it gets a haircut. 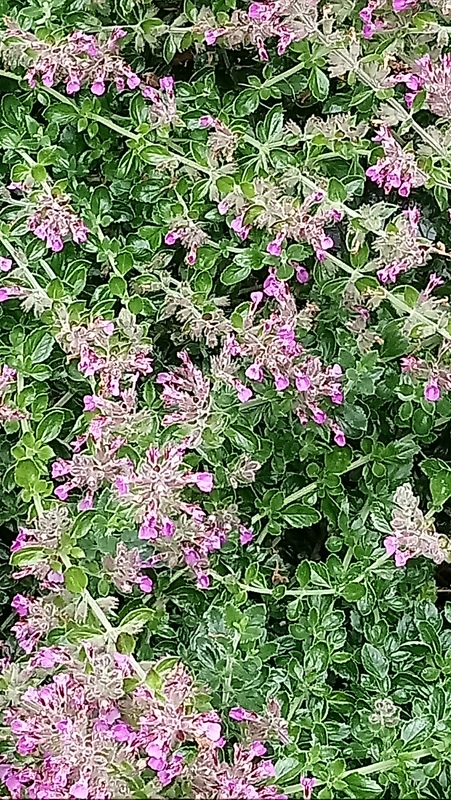 Wall germander is one of those old-fashioned plants that does not get much of a mention nowadays but with many gardeners worried about declining bee populations it comes highly recommended from the physic garden. It was Catherine from Pepperpot Herbs who first suggested it to me. I was looking for some box plants to edge a new cutting bed in the garden and she mentioned germander. I took her advice and ordered a batch. It grew so well that I went back the following year when I was making a second bed for more. If you’re looking for a low-maintenance plant for edging and keeping the soil inside a potager bed rather than spilling over the path, one which is great for bees and butterflies, which will grow low and dense, which smells good and is useful then germander is the one for you. (I use the dried stems in pot pourri and wreath projects.) It is drought-tolerant (handy this summer), not overly fussy about its soil and looks good all year round. What’s not to love? I think it was used to treat gout in days gone by, despite a suggestion that it can cause liver problems. Fortunately we have no need for its herbal properties but it’s here to stay. A stalwart of the physic garden. I’ve been so busy on the (recently enlarged) plot of late that I have rather neglected the blog. Where have you heard that before? Anyway with the allotment just beginning to come to the end of the hungry gap, 500 squash seeds and a load of salad coming on nicely in the school polytunnel, and a completed stumpery which you can read about here on my latest column for Family Soup magazine, I am venturing out to my first event of the growing season. On Sunday from 11am to 4pm you will find Country Gate Gardens at Troughs in Avoncliff at their Spring Fayre. 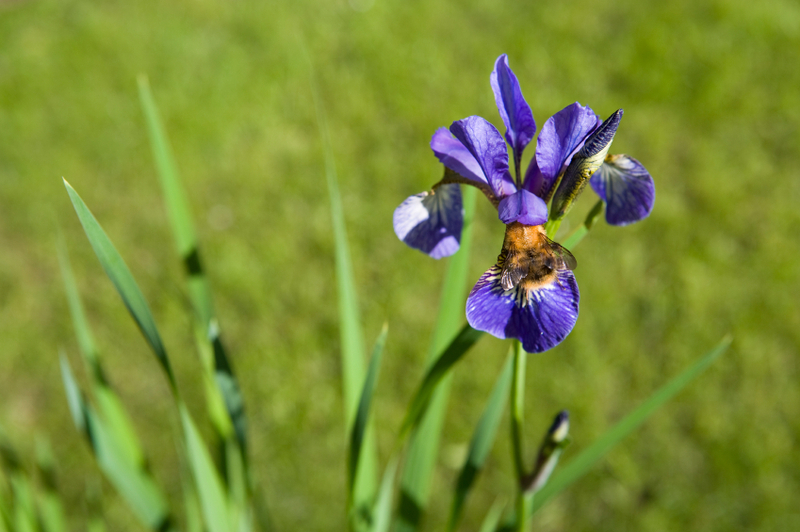 We’ll be giving advice on the best plants to grow to encourage bees into your garden – vital for any grower, sharing our ideas for successful gardening with children, selling some bee friendly plants and taking orders for windowbox allotments, edible pots and hanging baskets.